Innovate residential kitchens with advance designs for Corian® kitchen worktops, kitchen islands and sinks. We can help you create your vision, from traditional kitchens to unique, creative and fun kitchens. Corian® solid surface is the market leading product for kitchen work surfaces. It has built a reputation due to its versatility, durability and the ability to be repaired, a rare commodity which is not the case with most stone, wood and glass work surfaces. Corian® has a smooth non-porous surface which is exceptionally hygienic, won’t stain and is very easy to clean. 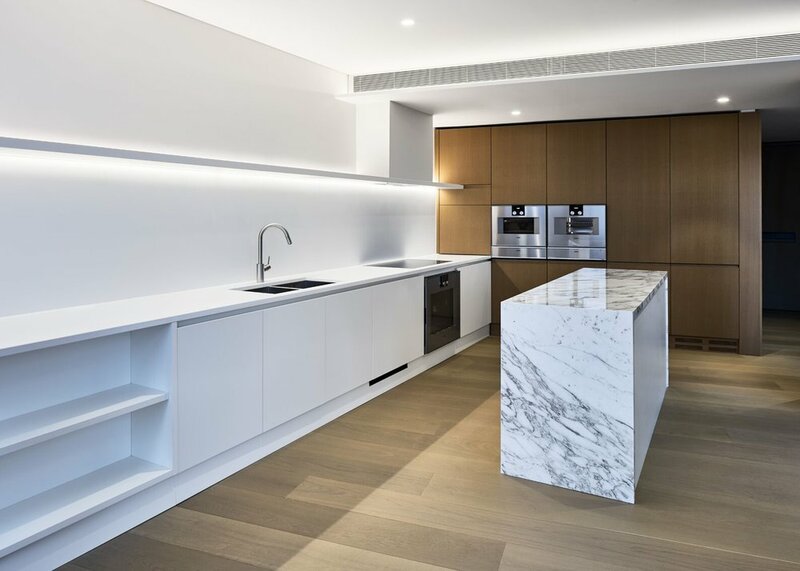 As a market leading solid surface fabrications company, we work with Corian® to produce stunning, dynamic and durable kitchens work surfaces.